ALERT: This year, 2018, will be the last year to register for small group pre-scheduled Mandalas on Vinyl Records classes like how we have been doing!! Sign up today before you miss the opportunity!!!! 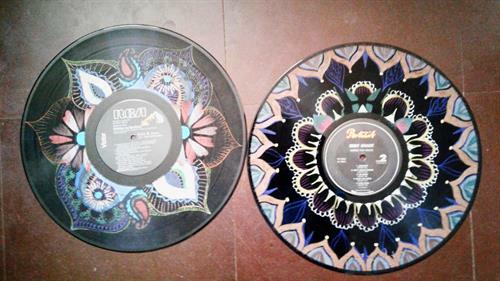 Learn easy, peasy techniques to mandala drawing or do your own style of art making as you design your own vintage vinyl record with colored pencils. No need to have any drawing experience. BYOB optional. Food and snacks welcome.